Things are really picking up around here and we have so many eggs in the incubator for this time of the year. Females are laying every few days and the first babies should be hatching in 20 more days or so. 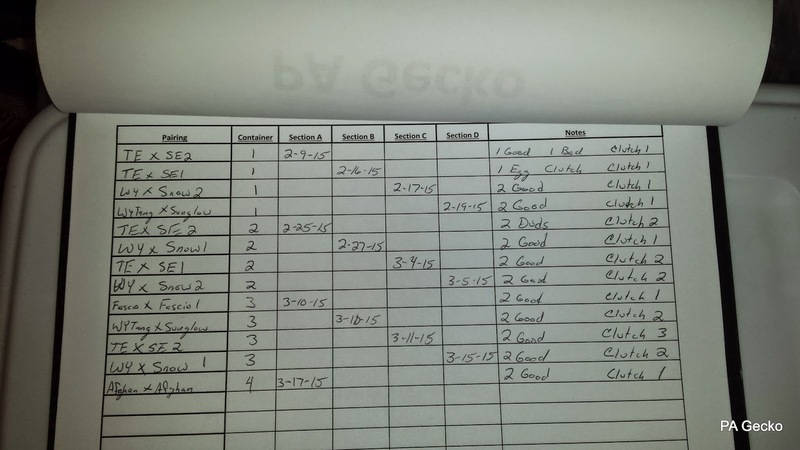 This is a pic of one of the egg organizing sheets we use to keep track of things.